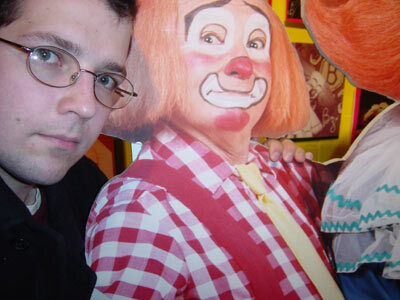 So far, the only image posted is the one of me and Cookie the Clown (from the Bozo Show). Actually it's a cardboard cut-out from the Chicago Cultural Center. Senator Ted Kennedy and I: 1993 in Washington D.C. Senator Paul Simon and I: 1993 in Washington D.C.